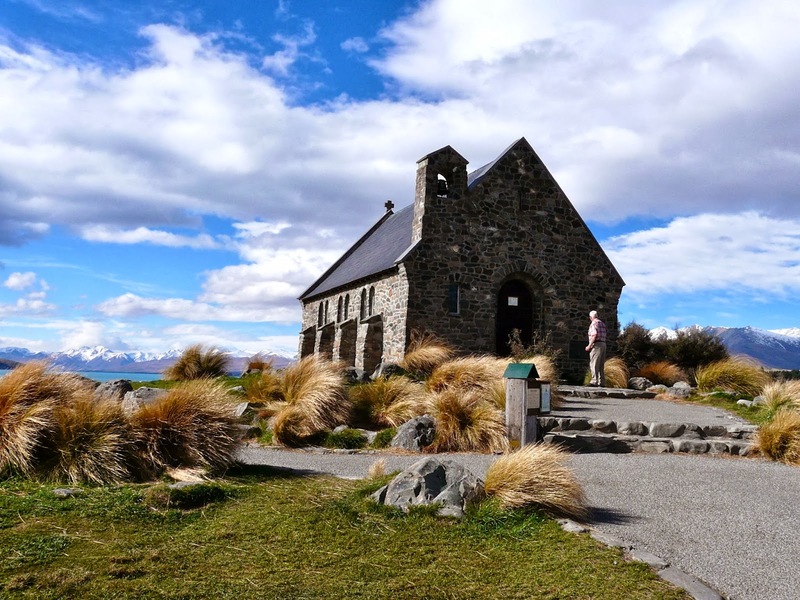 We flew into Christchurch, and then drove down to an old family town - Timaru. Word to the wise, do not, after flying for 20 hours, rent a stick shift car, and drive on the wrong side of the road. To be clear, I'm not a total amateur. I've owned manual transmission cars before, even if I've never achieved a real grace in driving them. However, when the driving side is flipped the stick side is as well, and I keep flailing around with my right hand searching for the gear shift. I also have been turning on the windshield wipers instead of signaling. At least I can see clearly out the front eh? 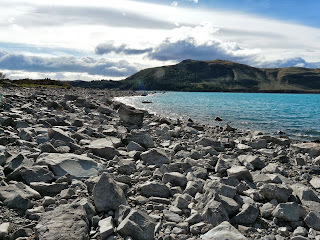 The water was strikingly blue! 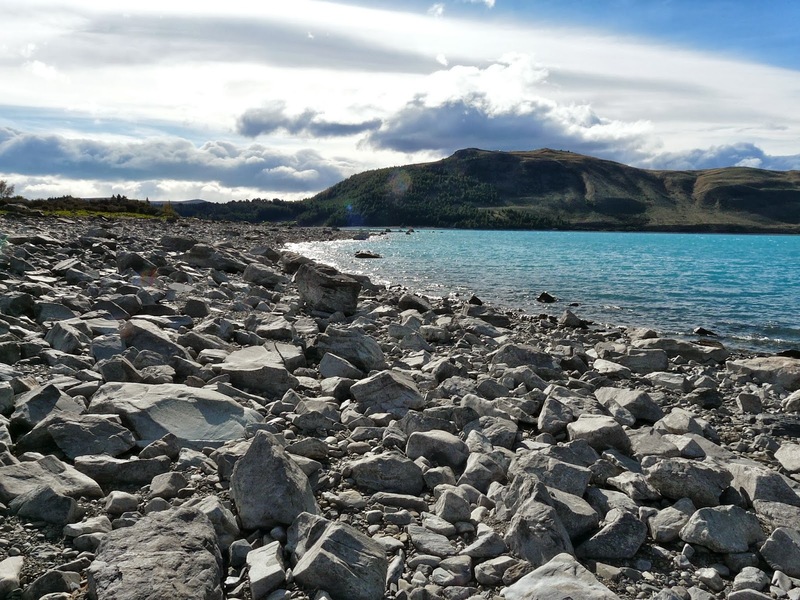 A deep turquoise that made the sky look dull, and the white of the snow capped mountains made for a fantastic view! 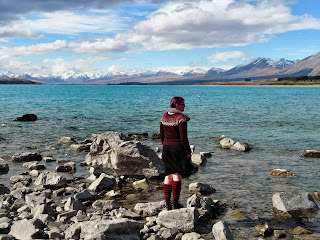 It was rather windy and chilly however, even in the bright sun. 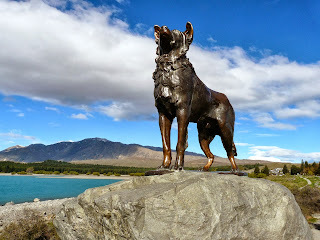 There was a statue commemorating the working sheep dogs, probably the most important pioneers to come over from Europe! Behind that hillside, hiding in the clouds, would be Mt. Cook. Tallest peak on the Islands. On that hill side, one is looking for a very different type of view. 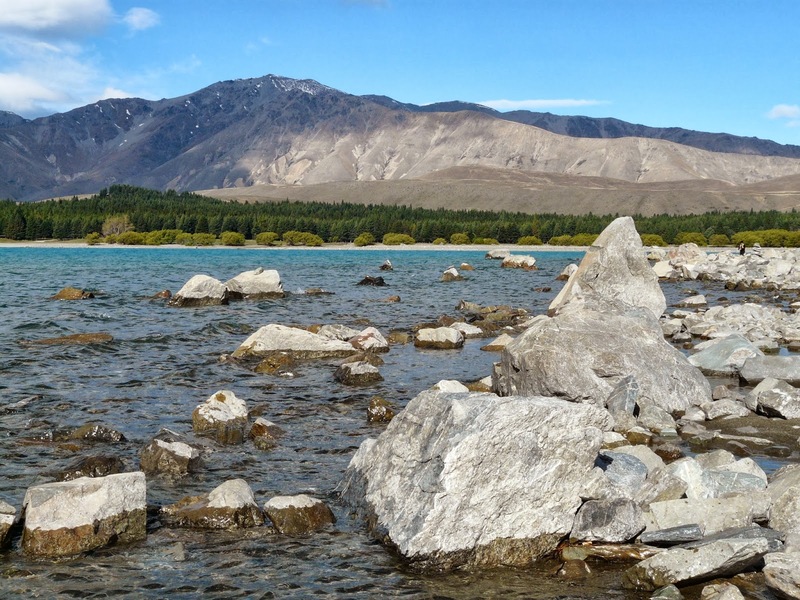 The air here is very clear, and the little town is the only nearby settlement. All the street lights here are hooded, so their light shines only straight down. 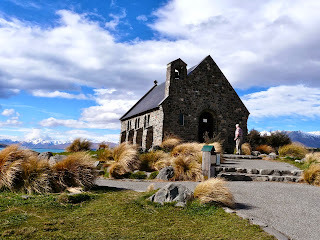 There is an observatory on the hill top, and it's considered a fantastic stargazing site. A great way to dip our toes into the sights of the south! We had our first frost a few weeks ago, and that meant it was time to do some gleaning. 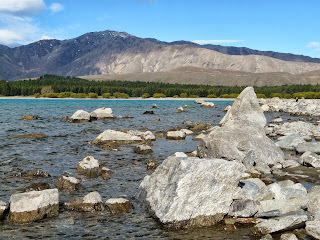 We've had a strange year, very hot and dry in early spring, then wet, then very hot again, then a biblical flood. Tomatoes have certain conditions they prefer, and night temperatures can really affect the ripening. I had a huge number of big green tomatoes that just would not turn! 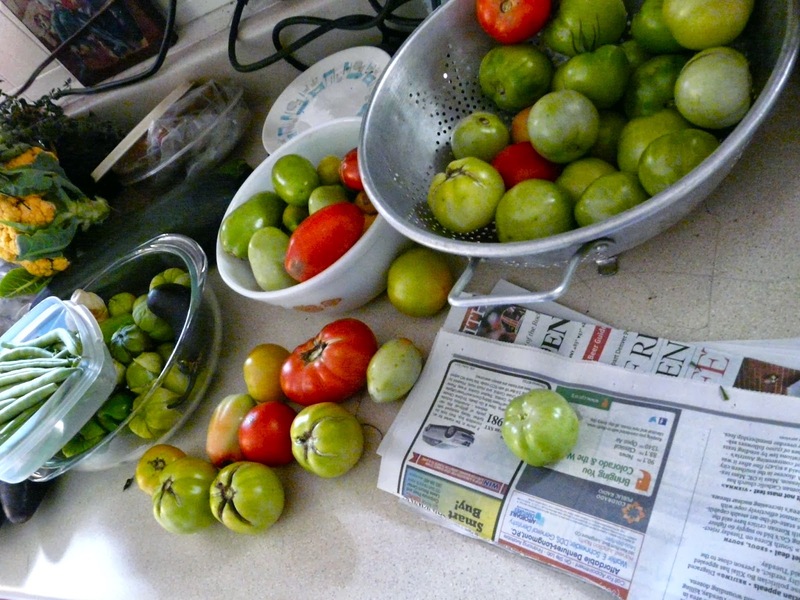 Fortunately, green tomatoes are not a waste. One can make fried green tomatoes, chow chow, chutneys, pickled tomatoes etc. I however, like to let them ripen so I can enjoy fresh tomatoes on my salad in January. 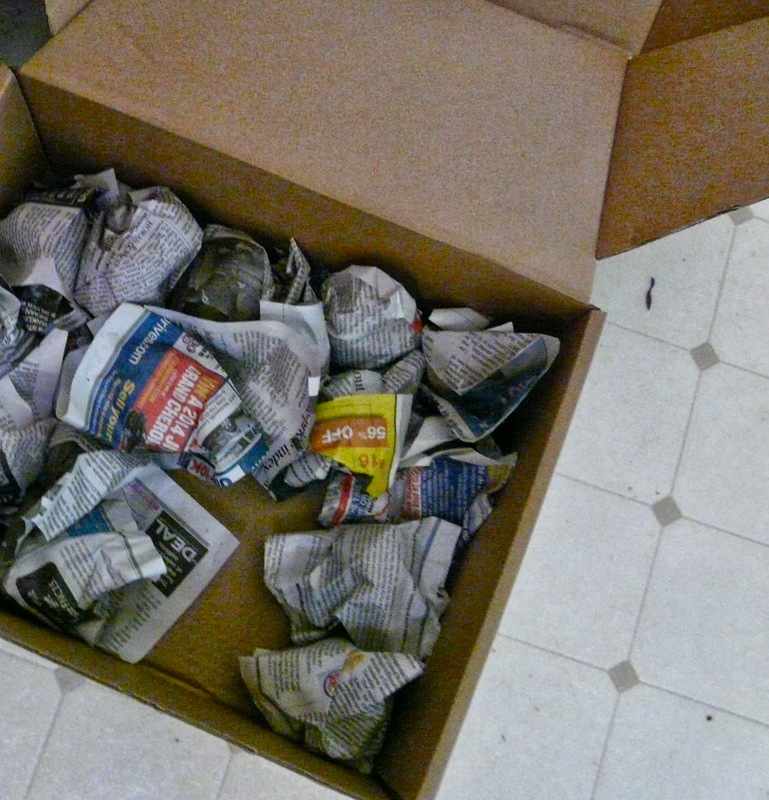 We've always kept tomatoes to ripen, wrapped individually in newspaper and placed in a box. The box should be in a cool still corner to let them slowly mature. Be very careful about not placing bruised, frozen or split tomatoes in the box. One rotten fruit will spread to a whole section of box! We've also had a bumper crop of lovely juicy pears from our Fruit Share. We're getting two bags at a time, and they all seem to come ripe at the same time! 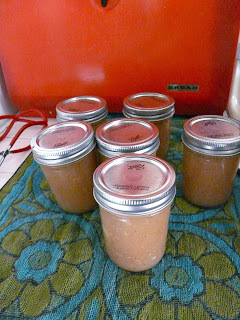 I did a quick fix on the last dozen pears before leaving on this trip, Pear Sauce. 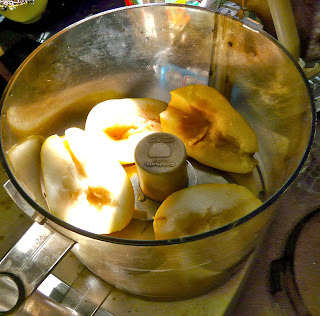 These golden juicy beauties went right in the processor, peels still on. They were very very ripe, I could actually pull the seeds out from the stem! 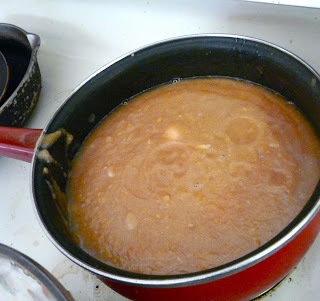 Pureed smooth, then I just brought them up to a boil. I added some nutmeg for a little Fall flavor, and a little lemon. I didn't want to cook them for a long time, it doesn't make the sauce any better and it breaks down nutrients. They get a fair bit of cooking in the canning process anyway! They were jarred, and then boiled in my canning pot for 15 minutes. The darkening from oxidation seems to have disappeared after that cooking, leaving a nice camel color flecked with flavor! These will be just the right size for lunch snacks, or for pouring over potato latkes. I hope everyone else had a bumper crop too! Coming soon, news from New Zealand, where it is spring time and the lambs are super cute! 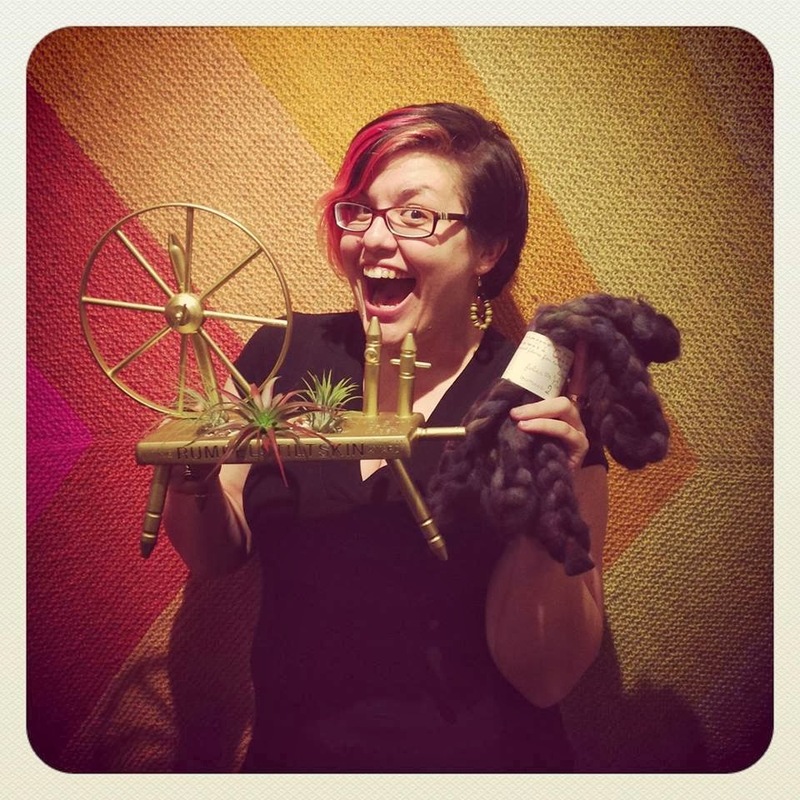 Spinzilla - It's a Monster! 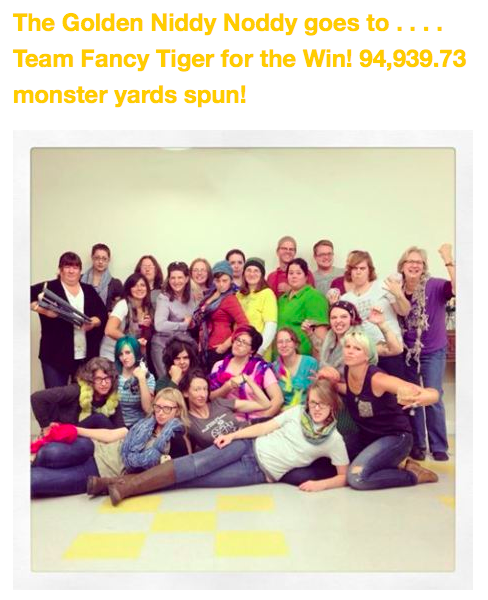 But my contribution was not in vain, Team Fancy Tiger took home the Golden Niddy Noddy! 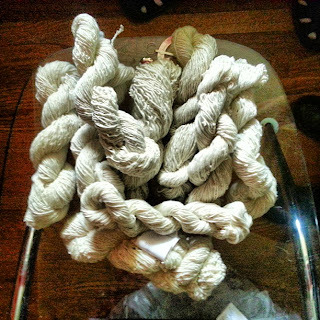 That is a rather impressive sum of yarn... I really liked getting that push to do some spinning, a dedicated spinning week helped me get back on the wheel! Did any of you take part in Spinzilla? What is your favorite thing to make with handspun yarn?